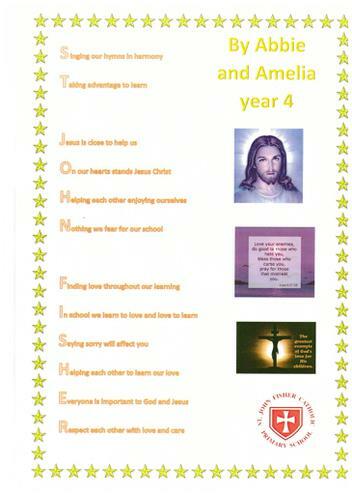 Abbie & Amelia from Year 4 have written a Poem about St John Fisher School. We are so proud of their work we are displaying a copy outside the office and have added it here on our website. The Poem can be read if you go to the Year 4 class page.